One of the best parts about learning to understand fashion is that you start to understand how to take things you’ve always worn and make them look much better. Understanding what goes with what as well as how you can slightly alter an entire look with different types of pieces is a powerful thing. It can fuel a lot of creativity. Today we’re talking about this very idea and how an essentially basic outfit can be taken to the next level. The idea I want to instill today is that if you break things down by what they truly are, you can lessen any intimidation you might feel towards being more stylish. Don’t think of your outfit as a whole. Think of it as the sum of several pieces. 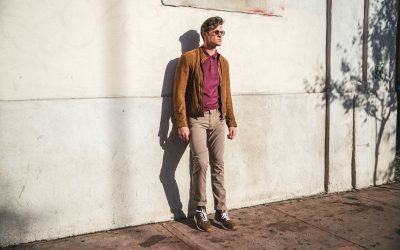 This whole look is boots, brown pants, a t-shirt, a brown coat, and a bandana around the neck. That’s only five pieces but when you add them all together, it starts to look pretty nice. 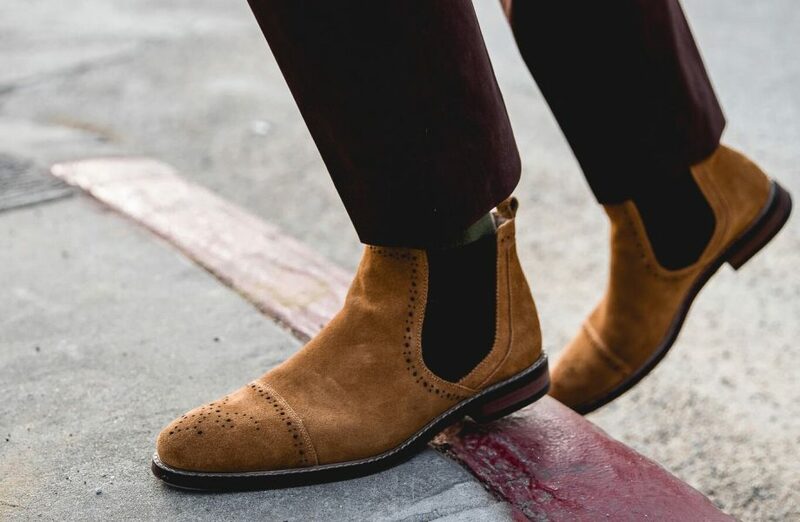 Let’s start with these Stacy Adams boots that I recently got from Zappos. 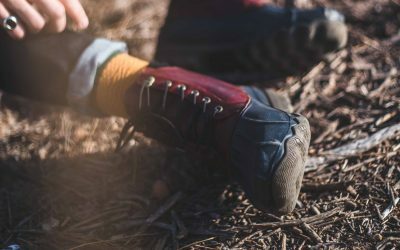 The Chelsea style is becoming extremely popular, which is awesome because they’re a really stylish, comfortable boot. I loved these because of the brogue detailing on the toe. It adds a dressy vibe that a plain pair of Chelseas would lack. 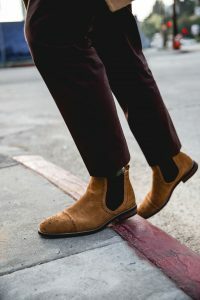 This boot works well with the brown trousers to continue the brown color palette but they work equally well with some jeans or a pair of chino pants. 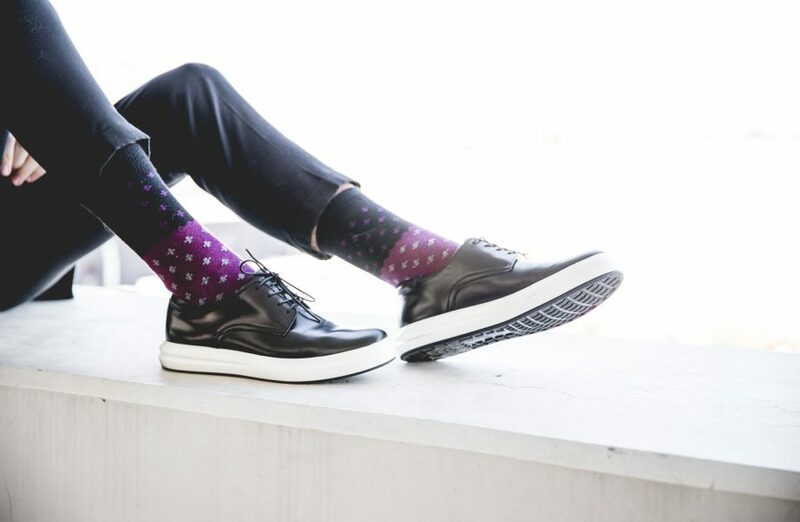 I love how Stacy Adams mixes current styles with classic ones. 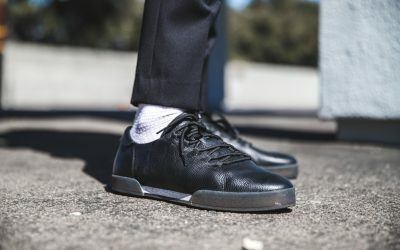 They do a great job of creating really affordable shoes that will last you and keep you looking great. In terms of the other three pieces, the tee is just a basic gray pocket tee. 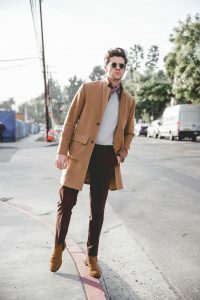 The brown overcoat is a nice statement piece and I like that it continues to add to the brown colors. 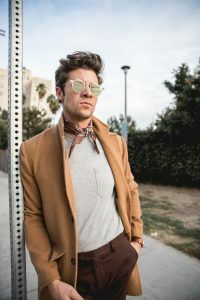 The neckerchief is obviously the boldest move of the whole look. This isn’t something that every guy will be down for, which is fine. My point is simply to show you that boots, pants, a tee, and a jacket can look really nice if you style it in the right way. Stick with common color palettes and think outside the box of what someone would normally pair together. Then, once you get comfortable in those types of looks, consider adding in extra accessories to set yourself apart. These added pieces are what will start to distinguish your personal style. Whether you’re shopping for yourself or looking for some holiday gift ideas, be sure to check out Zappos collections. They carry a TON of different brands. If shoes are what you’re looking for, I’d definitely recommend Stacy Adams. 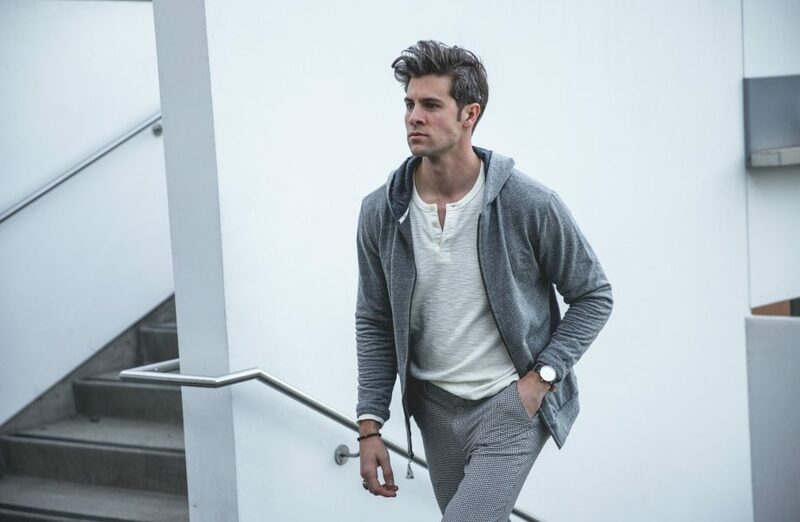 Style Challenge: Can a Basic Gray Hoodie Be Stylish? ?